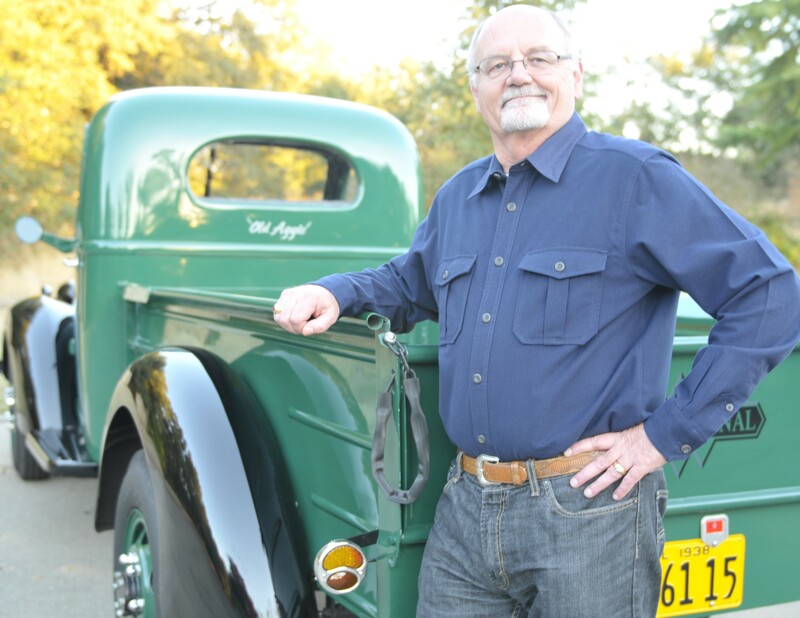 “Old Aggie,” is an old 1938 International farm truck that was a symbol of Fresno State’s dedication to agriculture. 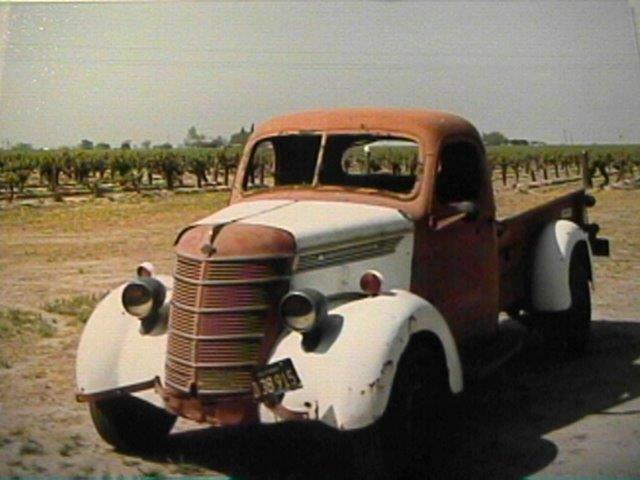 Looking back, “Old Aggie” was rescued by Bill Jones, former California Secretary of State, from the wrecking yard in 1969 to be used for a raffle prize at a back to school of agriculture barbecue in O’Neill Park. The raffle was to raise funds for the Ag Senate. But when the students found out that “Old Aggie” still ran so well, they decided to keep her and raffle off a TV instead. Her rusty exterior was then given a coat of red and white paint with blue running boards. She became the mascot for the Jordan College of Agricultural Sciences and Technology and participated in parades around the Valley for several years. Ron Dolinsek (current CFT Board member) then adopted her in 1983 (picture above) and began the decades long and painstaking process of restoring her to her current condition (picture below). 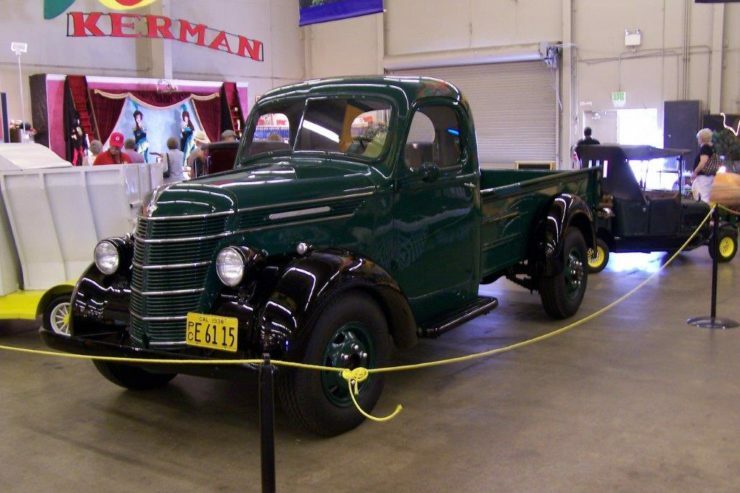 Following her restoration she revisited FSC during the year of Fresno State Colleges Centennial Celebration, first exhibited at the Big Fresno County Fair and was then driven by Bill from the fairgrounds to participate in the universities Centennial Celebration Parade. Subsequently, Ron returned her to Bill Jones so she could be relocated closer to her former roots at Fresno State College. 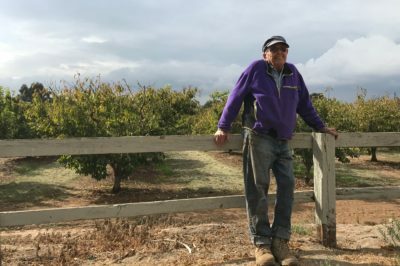 This was done in recognition for the importance for never forgetting your friends that have made an important difference in your life and because she always served as a symbol of Fresno State’s dedication to agriculture. This ole truck has been a good ole workhorse that’s been through a lot, been dependable to the core, and she further serves to remind us of our need to continue our own hard work by giving back to others and to serve others as she has done for us over the years. 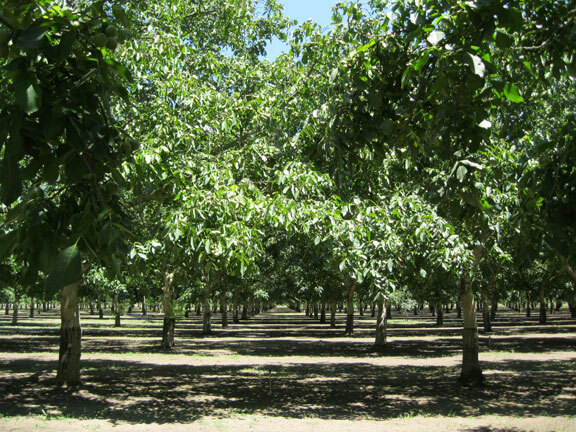 She also reminds me of the importance for us to continue California Farmland Trust’s hard work to preserve the best “Farmland In The World” since, like Ole Aggie, it cannot be replaced.